Have to admit I’m slow to the smoothie parade. We’ve always preferred to eat our fruit as fruit (or a dessert with fruit showing – yes!) rather than drinking it. But this entire long weekend we worked hard outdoors — digging, painting, planting, changing everything around. A cold, fruity nutritious drink sounded like a great idea. I had a big box of strawberries in the refrigerator so I quickly looked at half a dozen recipes online, and mooshed together the two simplest ones. I was tired and didn’t want to hunt for any flavorings so I left them out. 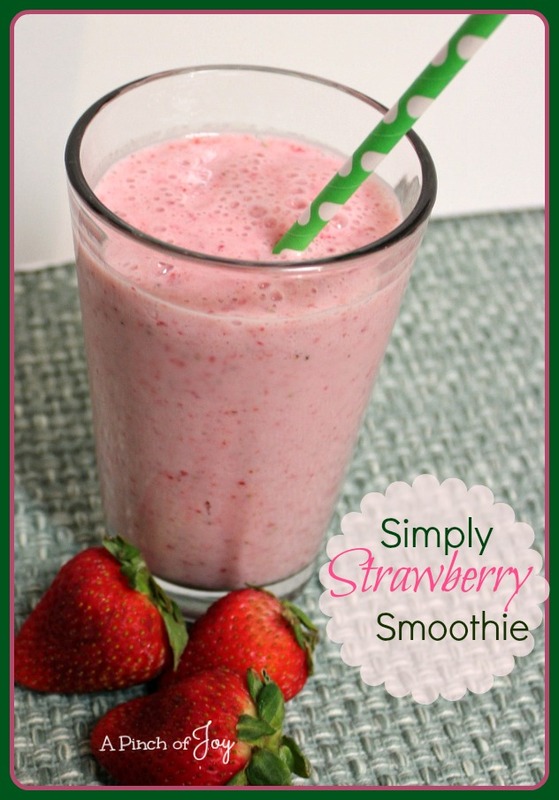 And came up with a simply strawberry smoothie. It was perfect. I’m not making any claims for this concoction – other than it was cold, fruity and hit the spot – but it totally revived our spirits and gave us renewed energy. We flew through the rest of the chores that afternoon, accomplishing more than we thought possible. Absolutely a life changer – for that moment in time anyway. After all, isn’t life really about the moments? Sitting in companionable silence amidst the chirping birds and swaying trees, savoring what has been accomplished and, with each sip, feeling more and more like the end of the list can be achieved yet this day! Powerful stuff this smoothie! We may be hooked! Strawberry sweetness -- so good! Pour into two glasses and serve cold.